Short on time and ideas for Christmas gifts this year? We pulled together 10 non-toy Christmas gift ideas that I am sure your kids will enjoy receiving this holiday season. Is it just me or is anyone else feeling like the older the kids get the more difficult if not down-right impossible it is to Christmas shopping for them? Either they want something that is too expensive or not available or we are left scratching our heads in bewilderment wondering what the heck the item even is. Or am I the only one? When the kids were little Christmas shopping was so easy. But now that the kids are older and teddy bears, baby dolls and trains just won’t cut it. What’s a mom to do? Between the two of us I am really getting tired of forever being asked for a kitten or a puppy and the older ones don’t really want toys for Christmas this year. My eleven year old son’s Christmas lists is full of electronics starting with a PS4 and oodles of games to go with it. He’s even asked for a t.v in his room but we all know that’s not going to happen.When the kids were little Christmas shopping was so easy. But now that the kids are older and teddy bears and trains just won’t cut it. What’s a mom to do? 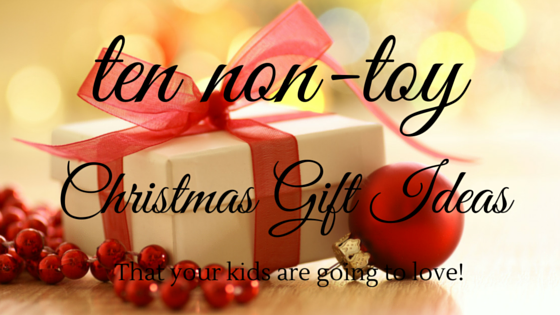 These 10 non toy christmas gift ideas will make both parents and kids happy . Don’t think kids can’t enjoy things like magazine subscriptions! My kids love getting their Lego club magazines in the mail and best of all it’s free! Many of my friends have gushed over their love of subscription boxes. Most offer a one-time option in addition to a 3,6,9, and 12 month plan so there is something for every budget. 1.) A Book-Of-The-Month Club! Just the right book mails hand-picked books chosen by a literary expert based on their reading tastes and individual preferences. I love that idea because you can choose from all ages, including read-aloud family books! 2.) Monthly Craft Kit. Kiwi Crate is a monthly craft club for kids. Each month you receive a box with supplies and instructions to make themed crafts that encourage creativity and learning. For kids under 4 their Koala Crate is fantastic and they also have Tinker Crate for older kids. 3.) Monthly Learning Kit. Little Passports is a monthly travel adventure kit. It’s for an older age range maybe 7+ but it is so cute! You can do the world edition or they “visit” different countries/states each month! 4.) Memberships to the zoo. We took our youngest Jessica to the zoo nine times this year and she talks about it all the time. Seriously. ALL THE TIME. 5.) Paint Your Own Pottery. Abigail has done this for a friends birthday party and it is so fun! 6.) Tickets to the movies, theater production, or concert. I know that both my son and I would love a movie ticket gift! Especially with the new Star Wars movie hitting theaters next month. 7.) Gift certificates to a favourite ice cream. Because we all scream for ice cream. 8.) Gift certificates for a family outing, such as ice skating or mini golf. Right now our eleven year old son, Noah, is in fencing class because he asked to be. With four kids involved in a multiple of different activities it can get a little pricy! Now as a little hint for any family members that may be reading this post… fencing classes for a gift would be really special. 9.) Classes. Encourage what your child loves or is good at. Be it dance, art, athletics, horseback riding, music, storytelling, or carpentry, give your child a chance to enhance their skills doing something they love or want to learn. 10.) A Piggy bank. Help your child begin to learn important budgeting and saving skills by giving them a piggy bank. I hope you find this list of ideas helpful! Thinking about other options has definitely been helpful for me and I hope to use some of these soon. Do you have other great non-toy Christmas gift ideas? Please share them in the comments! These are great ideas. My tween daughter especially would love the Monthly Craft Kits. These are fantastic ideas!! It’s so hard to shop for kids who have everything and way too many toys. I pinning this for sure! 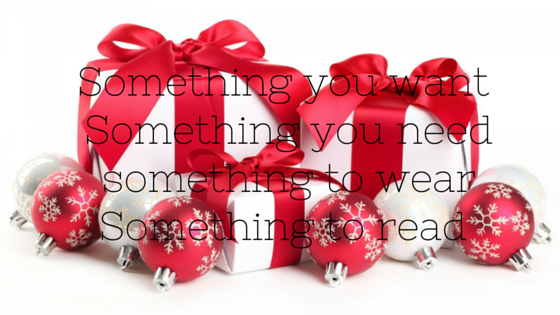 Our family doesn’t celebrate Xmas, but the non-toy gift ideas you shared here are great gifts all year long. I really like them. These are great gift ideas! My kids love getting things in the mail, so monthly subscription boxes and magazines are always a big hit with them. A memebership to the zoo is a good one. I’d love that one here too. This is a great list! I know we need less toys around here! I really like the zoo membership idea. It’s a gift kids are sure to enjoy all year. Love your ideas so much! I will use some of them and get my son some of the items on your list! I’m loving these ideas. Classes and experiences are guaranteed to be memorable gifts! I love these all but I really love the membership to the zoo. I don’t know why but that never dawned on me to gift that and it would surely be one of the best gifts under the tree. Tickets to the movies sound like a great Christmas present since my little cousins like to hangout at the movie theater for the day. These are great ideas. I try to have someone get the kids something that is not a toy, but an experience! I love the Little Passports & Monthly Craft Kit idea! I don’t like buying toys for the kids in my family because they already have sooooo many, so these are great alternatives! I will be looking into both of these ideas! My son actually asked for gift cards this year to use after the holidays. He is thinking about after Christmas sales and wants to have money to spend. My daughter would have loved a book of the month club. One year we bought art classes for her and she really enjoyed it. Classes are a fun idea. My oldest loves to cook, so I think he would love a cooking class. Great ideas. I will be using a lot of these this year. We have so many toys so I know that other families are the same way. I like the suggestion of classes. Especially if you take the class with the child. Best title for a blog post in the history of ever and I need to bookmark this content and use it for triplets I am buying for – they are 9 years old. Happy Weekend!